Who do you choose for Elite? When someone else gets there, they can erase your message, or just type a new one. I will try to have something there almost every day. you just click anywhere on the screen, and start typing! ► We now have … Live stats! We don't need to update it, our system automatically does it! ► New staff … coming soon! ► We are partnering up with Google Adsense soon! 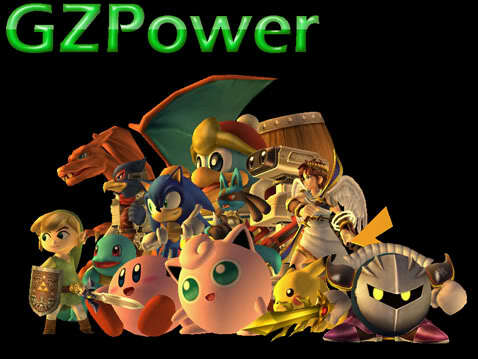 Come join us at GZpower! Click on Profile at the top, to edit your profile, then where you see signature, avatar, etc. go to Character Sheet, there are two questions, I have just added these, and hope that people will use them, they will show up on all your posts, if you look under my avatar on this post, you will see where it says Character Sheet, followed by a question, and my answer. You can now follow GZpower on twitter! hope we get some followers, and if you've never tried twitter before, it's a great way of telling all of your friends what you are doing, we will be using it from now on, we will also post the weekly newsletter on it.